First German editon ("Deutsche Erstausgabe" is stated on the back). "Copyright © 1973 by Science Fiction Writers of America". The copyright of the translation is assigned for the year 1982 to the publisher. Apparent first printing: "Printed in Germany 1982". Month of publication from Science Fiction Times, Mai 1982. The table of contents is on page 5. 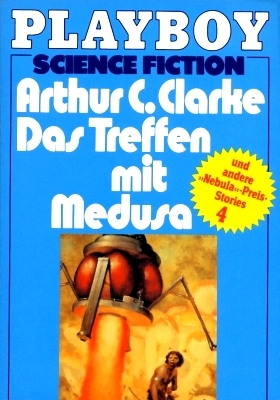 The cover design is credited to Franz Wöllzenmüller.